A member of a rural family, she lived her entire life in the village where she was born, in spite of frequent stays in Barcelona, especially from 1904 onwards. Self-taught, she travelled extensively in Europe, which helped to expand her knowledge. She first came to public notice in the 1898 Jocs Florals (poetry competition) in Olot, at which she won a prize. She wrote poetry, plays and novels, although it was in this last genre that she was most successful. 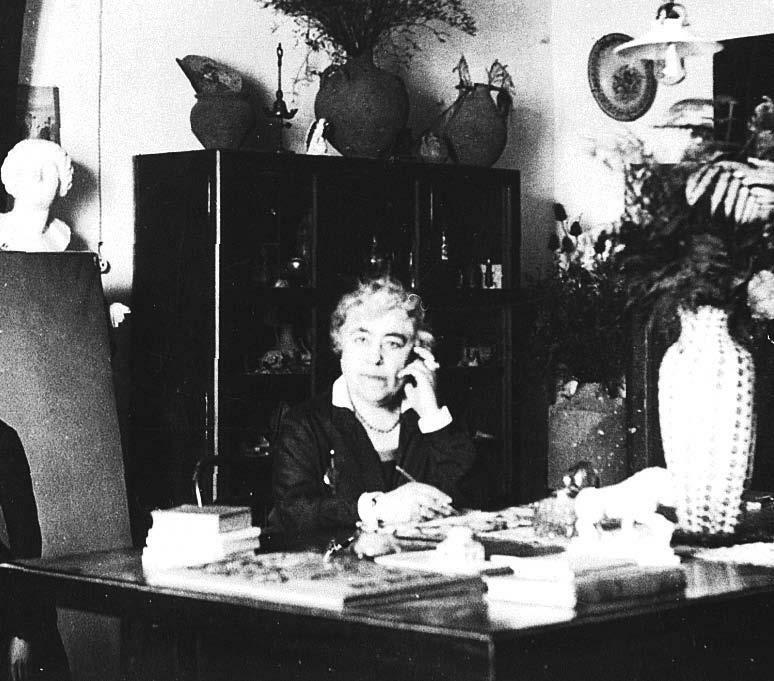 Between 1902 and 1905 she published three novels on rural themes, one of which, Solitud (Solitude) was among her best works. Following this she did not publish again until 1920, when her approach was quite different from the previous period. Her last works, Vida mòlta (Ground Life) and Jubileu (Jubilee) were written in the 1950s. A woman with a culturally enquiring mind, she was a very good amateur painter, sketcher and sculptress, which can be seen from the fact that she herself illustrated the covers of her first books, including Drames rurals (Rural Dramas, 1902) and Solitud (1905), which were published by the magazine Joventut. She was a regular contributor to magazines of the time such as Joventut and La Ilustració Catalana. In 1923 she was appointed a member of the Royal Academy of Good Letters of Barcelona.